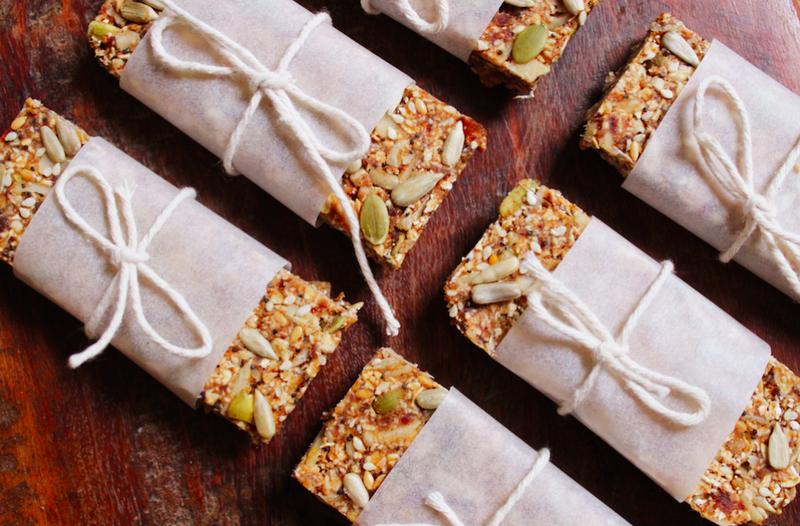 These super snack bars are perfect for grabbing breakfast on the go or beating that afternoon slump. 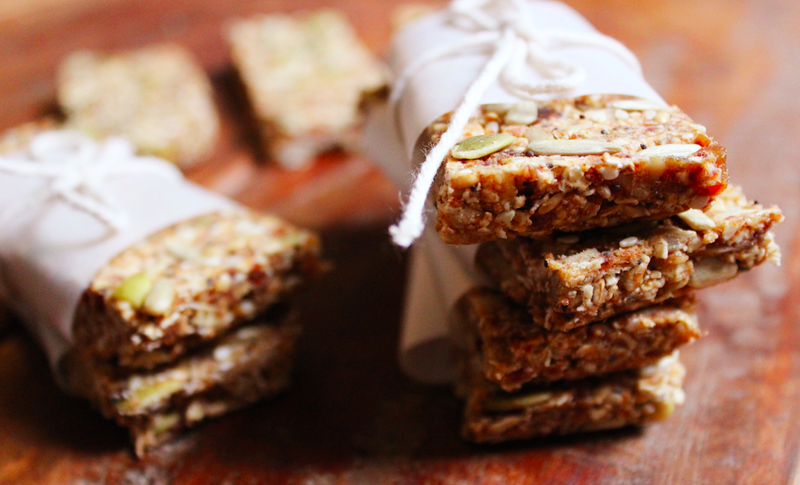 Packed full of oats and super seeds they’re just what you need to get you through the day, not to mention that they’re absolutely delicious.They’re extremely moreish so you may have to keep them under lock and key! Add your dates to a bowl and pour boiling water over them. Let them soak for a few minutes. 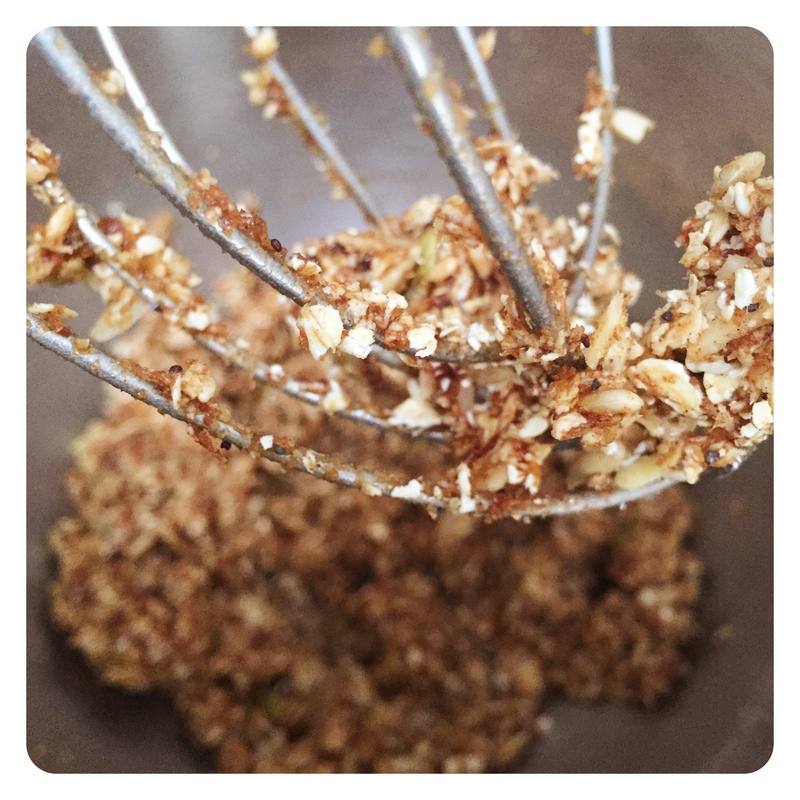 While they’re soaking, combine the oats, sliced almonds, seeds and cinnamon in a large bowl. 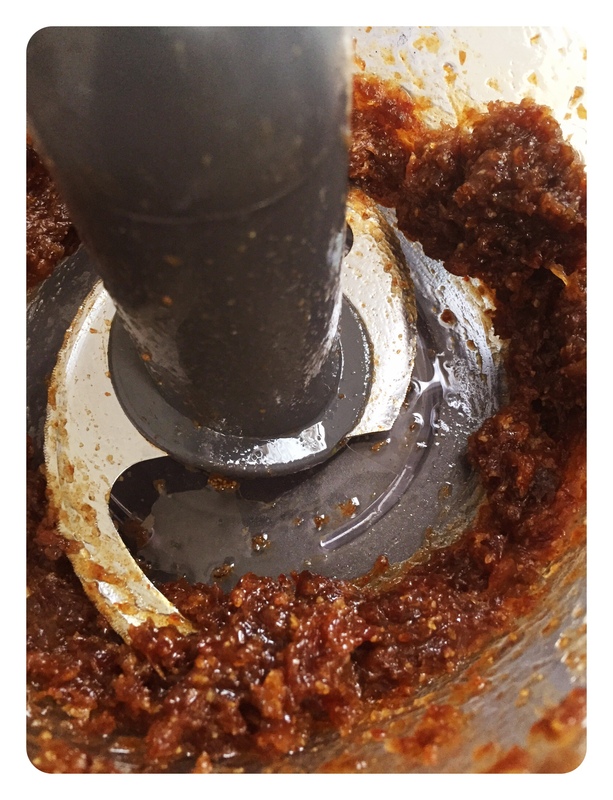 Add the dates and 2 tablespoons of their soaking water to your food processor and blitz on high until they are well broken up into a paste. Add in the melted coconut oil and blend some more until you have a lovely smooth(ish!) mixture. Pour the date mixture in to the bowl with the dry ingredients and mix thoroughly. Spread the mixture out into a small tin lined with parchment paper and pop in the freezer for about an hour. Take out, slice and serve! Sounds like a handy on the go breakfast thank you, we will try them with delight. I made these and they are delish but they would not stay together. Kept in freezer for ages. Any tips? 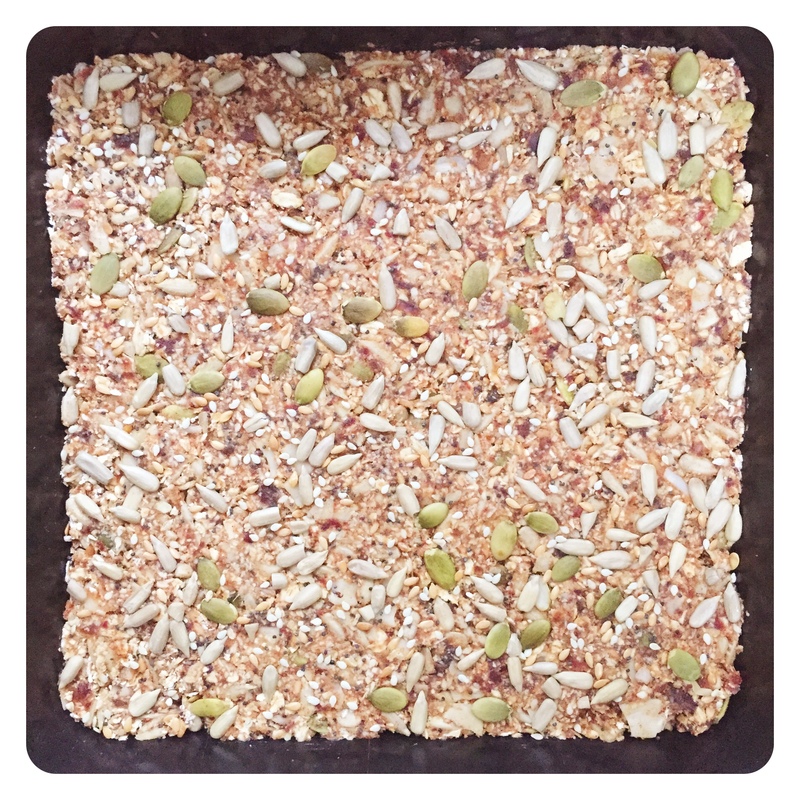 Either use a little less oats or make a little more of the date mixture if they’re not setting for you! Hope that helps! For coconut oil is it 1/4 cup in melted state or hard from jar? 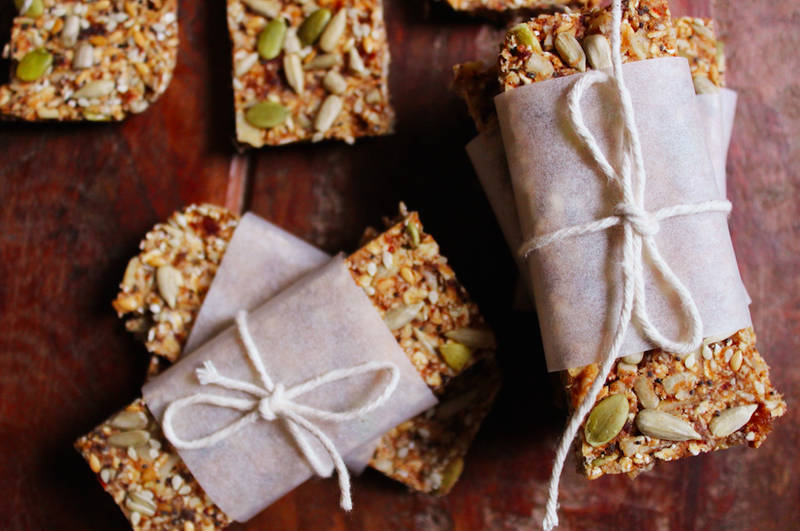 Had a fun morning making these , chocolate date bars and the salted Almond buttons. Omg,they’re unreal. Don’t think they will last long. Are you bringing out a book?